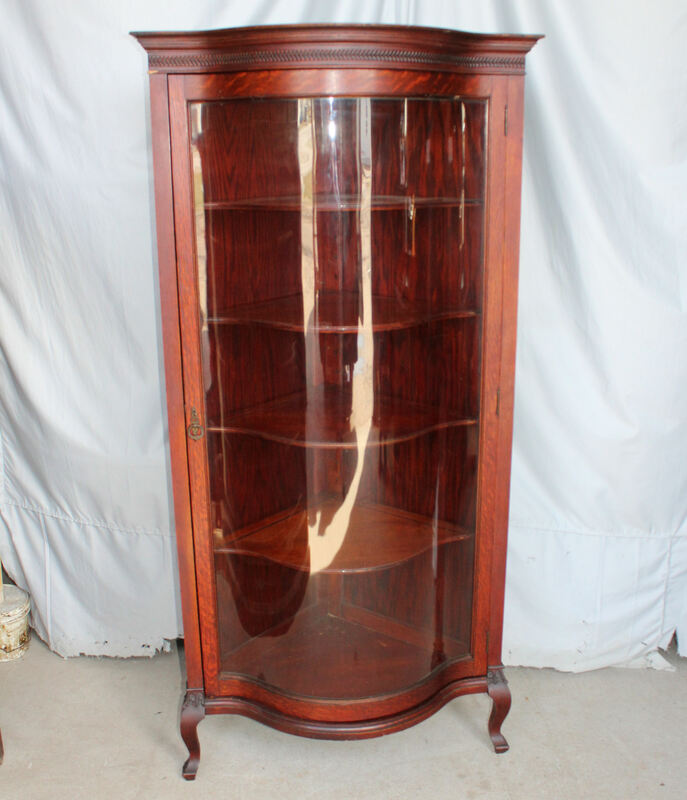 Antique Oak Corner China – Serpentine Glass Door in original finish, Measures 70 1/2″ height, 25″ depth from corner to side. There is a furntiure label R J Horner label on the back which I think was probably put on and doubt this is who made the cabinet. Circa 1900. (back leg has been reinforced over the years).